Balloon Column with Custom Sign topper allow guest to know where to Register for Homecoming weekend. Garland columns with string of pearls arch greeted guest for homecoming luncheon in the wellness center. Large flower balloons accent the food tent at the Shrimp Boil. 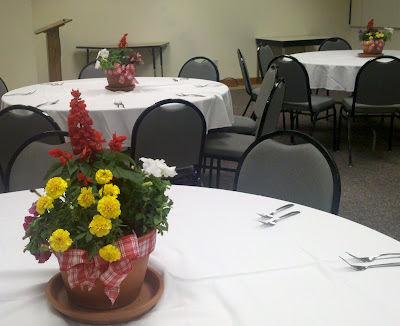 For the Garden themed weekend Party People Celebration Company provided colorful Potted plants with Red and white checked bow. Party People Celebration Company provided custom Colorful Garden Potted flowers with red and white check bows for the weekends events. 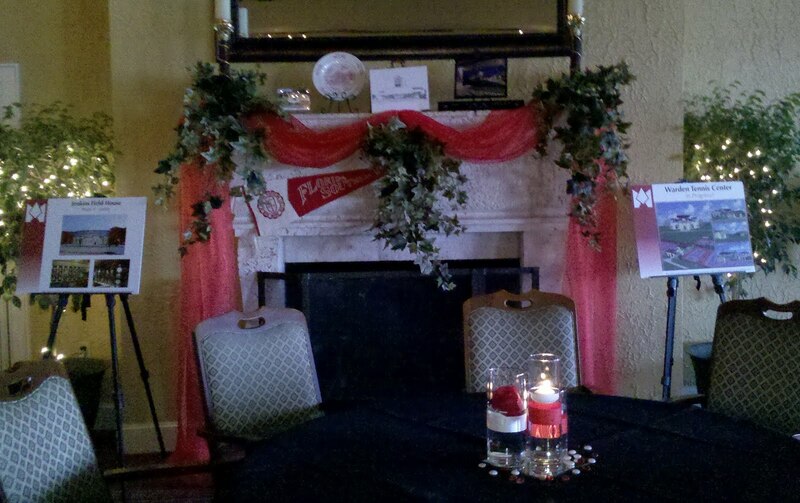 At the Lakeland Yatch and Country club Party People Celebration Company used Florida Southern items, red organza and ivy to add color to the mantle. 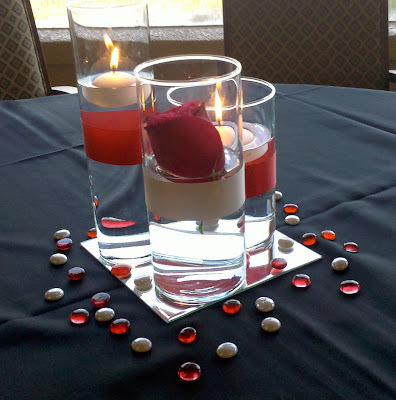 Party People Celebration Company provided the rental centerpieces with floating candles, roses and red and white ribbon. 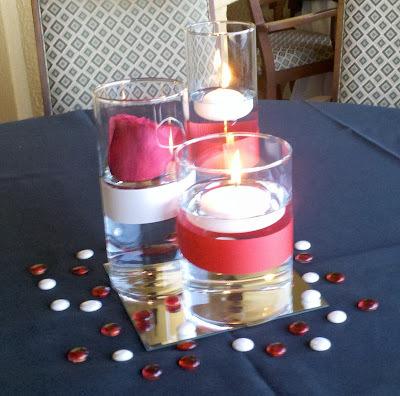 Party People Celebration Company will provide rental vases or vases you can purchase for your event with your colors in Central Florida call 863-255-2025. 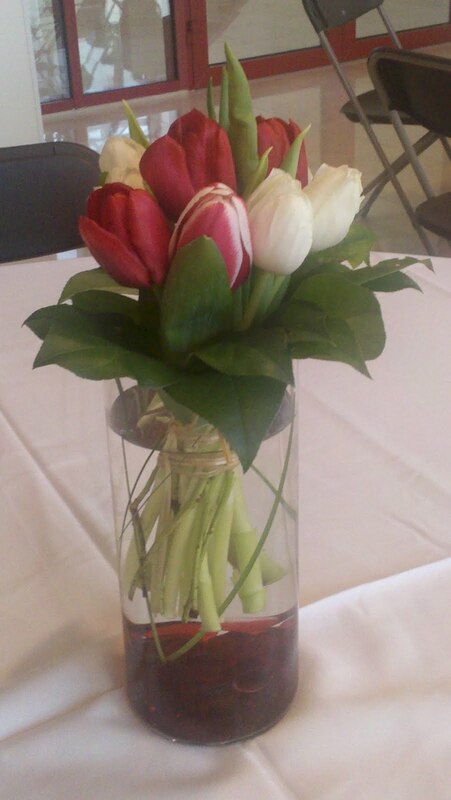 Beautiful red and white tulips in Party People Vases were used for VIP reception and weekend activities. This photo was taken with my phone and does not show the beauty of the flowers.